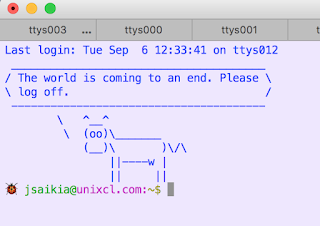 'cowsay' is a program which generates ASCII pictures of a cow with a message. It is so soon that I am done for, I wonder what I was begun for. 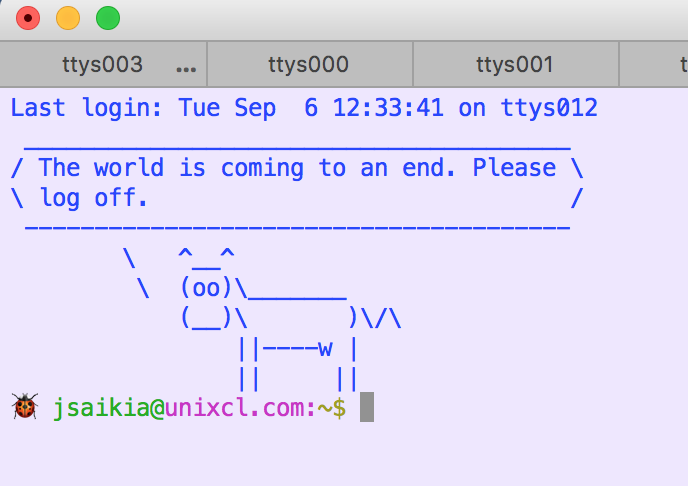 If you are on Mac OSX, you can get the cowsay and fortune installation details here. If you need help in getting homebrew installed on your Mac OSX, here's the help link.